Apple has today issued an over-the-air update to the Apple TV bringing with it a whole variety of new Apps. An App for the Vevo Music Service has appeared, together with a Disney Channel and Disney XD App. It’s unsurprising that given Apple’s close partnership with Disney that their content is now offered on the Apple TV, it was just surprising how long it took to get the content available. In addition, Apple TV users will also be able to access weather information with a new App from the Weather Channel, together with an for App the Smithsonian. Unfortunately there is still no integration with Time Warner cable, which is reportedly still in the works for later this year. 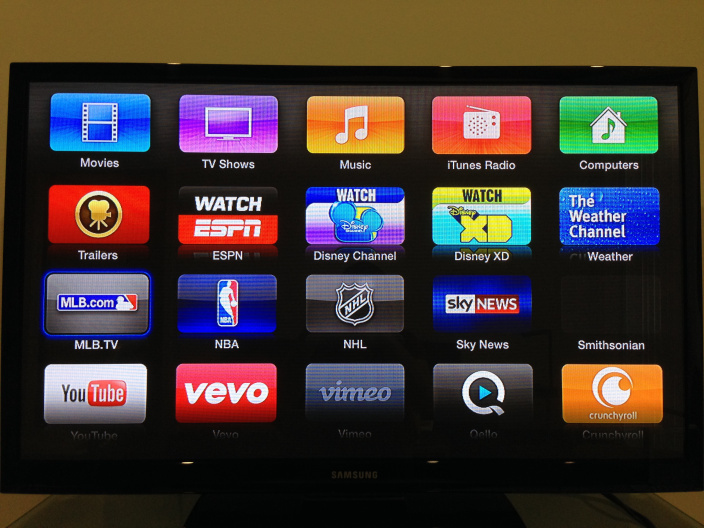 Apple TV – More than just a hobby? HBO Go as well as WatchESPN and Sky News were made available to the existing Apple TV service earlier this year, but rumours suggest Apple is hitting roadblocks with integrating with cable companies. So whilst all the new content we wanted to see on Apple TV hasn’t yet arrived, it is still a step in the right direction, and we can keep ourselves entertained with the Disney channels while we await the much needed cable integration. Hit update in the settings to receive the new Apps if you’ve not already been prompted to install the updated OTA version. Let us know what you think of the new Apps in the comments section below.